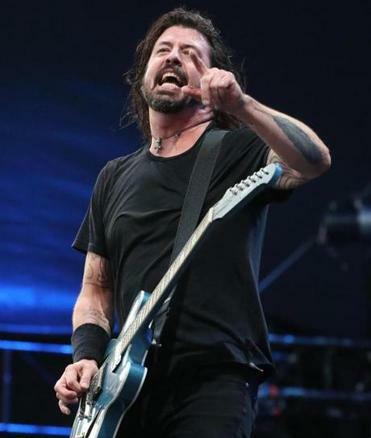 Dave Grohl performs with Foo Fighters at Fenway Park Saturday night. Foo Fighters took the stage Saturday night for the first of two Fenway Park concerts this weekend. Most singers make a big show of waiting for the rest of the band to take their positions before making their grand entrance. This is not Dave Grohl’s style. 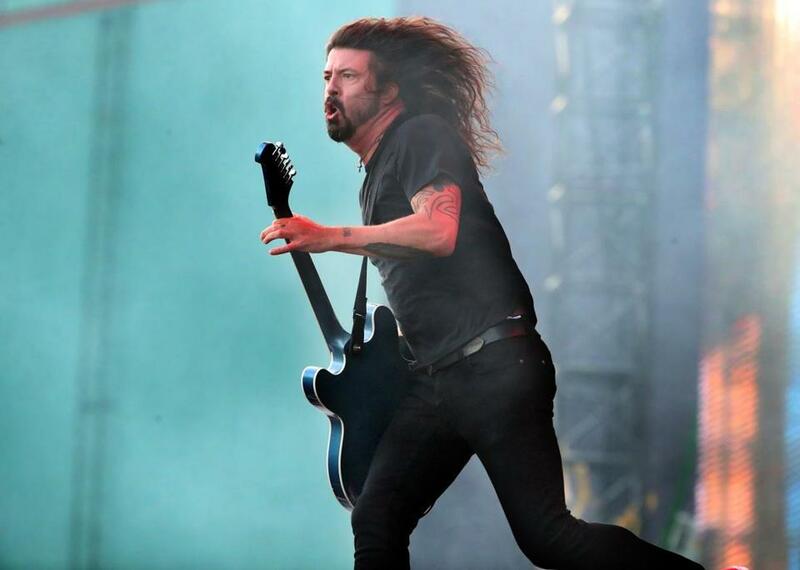 When Foo Fighters took the stage Saturday night for the first of two Fenway Park concerts this weekend, Grohl led the charge, running down the catwalk with the impatient exuberance of a dog finally released from its leash as the band launched into a blistering “All My Life.” Such is Grohl’s all-consuming desire to rock. That pure, undying love of his job is what powered Grohl through a marathon show that almost hit the three-hour mark. At times, he and his bandmates seemed to love playing too much, consistently adding several minutes to hits like “The Pretender” and “Rope” with extended bridges and outros. Too often these jams meandered, derailing a song’s momentum when they should have pushed it to the next level. And was that drum solo really necessary? That being said, Foo Fighters did find time for pretty much all of their hits — no small feat given how many they’ve racked up. 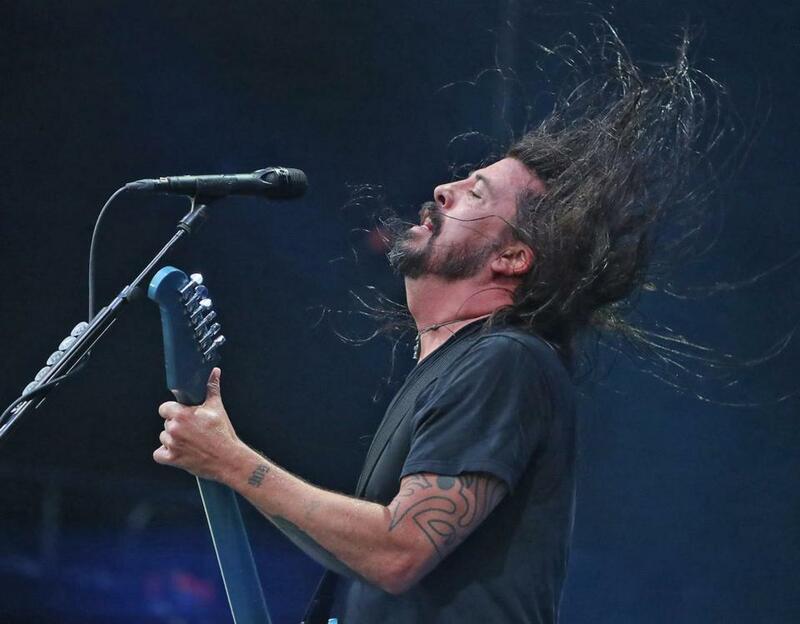 These were no bored, perfunctory runs through the crowd-pleasers, either; Grohl’s constitutional inability to phone it in ensured that “Learn to Fly” and “Monkey Wrench” felt as urgent as the “Concrete and Gold” cuts. The new album actually provided several of the evening’s musical highlights, from the über-anthemic “Run” to “The Sky Is a Neighborhood” and “Dirty Water,” which were sweetened by a troupe of backup singers including Grohl’s daughter Violet. After the pomp and circumstance of the main set, the efficiency with which Foo Fighters ran through their encore came as sweet relief. It didn’t hurt that they had saved many of their greatest singles for last: the lovely “Big Me,” the rousing “Times Like These,” the even more rousing “This Is a Call.” The only possible closer at this point was “Everlong,” and hearing that song’s heart-punching catharsis in the flesh provided the sort of thrill only a massive arena rock band at the top of its game can provide. 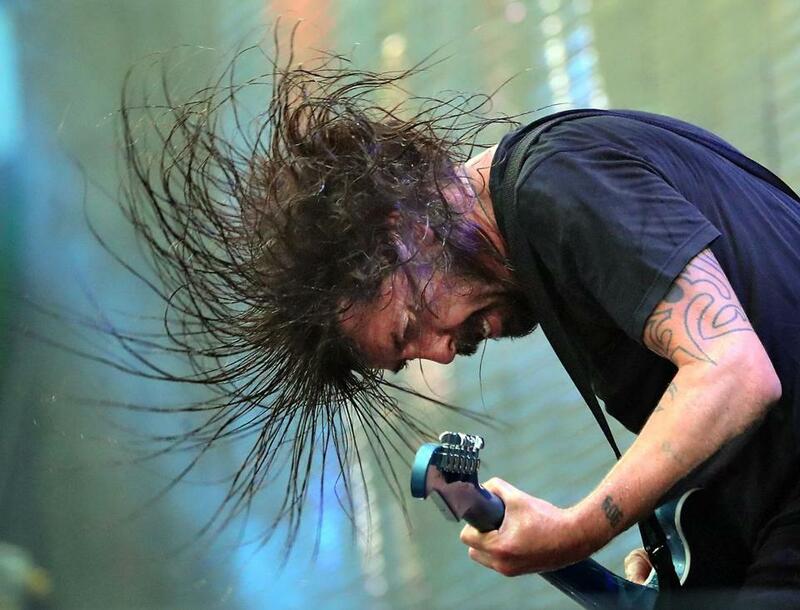 Dave Grohl, lead singer with the Foo Fighters, in concert with his band at Fenway Park. Local garage-rockers The Monsieurs, whose frontman Andy MacBain prowled the stage in a cape and no shirt, opened with a rambunctious set that embraced the inherent ridiculousness of rock ’n’ roll. Meanwhile, any laughs elicited by The Struts, a group of young Brits intent on stealing as much as they could carry from The Rolling Stones and Queen, were purely unintentional. Dave Grohl powered through a marathon show at Fenway Park that almost hit the three-hour mark. Terence Cawley can be reached at terence.cawley@globe.com. Follow him on Twitter @terence_cawley.